Keeping a budget in mind might have Normal or Decatur drivers look towards buying a used vehicle. 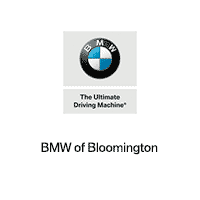 But at BMW of Bloomington, you can find the luxury of a BMW BMW and the affordability of buying pre-owned without settling for an old or high-mileage car. How? With a Certified Pre-Owned BMW. Our certified pre-owned inventory offers Pekin drivers quality vehicles that come equipped with the latest features and technologies, without paying that new vehicle sticker price. Put simply, used car shoppers who don’t want to compromise, who know the value of a BMW, should find a Certified Pre-Owned BMW for sale at BMW of Bloomington. No matter your driving needs, you’ll find something you love in our certified pre-owned BMW selection. Have questions about the benefits of going with a CPO model — or want to learn more about one of the vehicles you saw above? — contact our team today.